This recipe is two in one as the sauce can be used to make the famous Fettuccine Alfredo and my version of Cauliflower Alfredo. I guess the major difference between mine and the traditional sauce is that I added chilli to mine, but as I deseeded it, it’s more about flavour than heat. To combine this delicious sauce with vegetables makes a delicious accompaniment to any meal and you can even also use it on potato, parsnip or sweet potato, or a selection of the three. Give it a go, this recipe will definitely win you over! Cook the cauliflower florets in salted water for 7 minutes. In the meantime, in a sauce pan sauté the garlic on the olive oil. Add the chilli and cook for about 1 minute. Add the marmite and cook for a few seconds. On a food processor beat the cashew and almond milk for 2 minutes. Pour in the rest of the ingredients and beat for about 3 minutes or until the mixture is smooth. 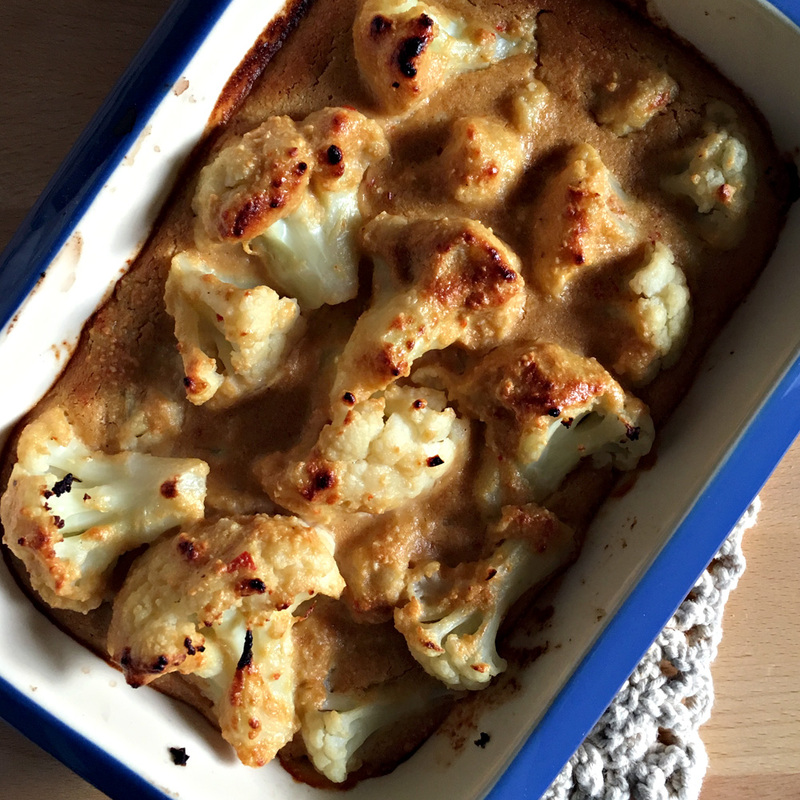 Drain the water from the cauliflower florets and arrange it on a baking tray. Pour the sauce on top of it and cook on a preheated over at 200c for 10 minutes and grill for another 5 minutes.